Christine is originally from the Boston area and spent her childhood summering on Cape Cod. She visited the Island as a child with her family and attended several Christmas Strolls with friends, but never dreamed she would wash ashore to Nantucket in 2002 to marry native Neal Whelden. After graduating from Suffolk University with a business degree, she obtained her Massachusetts real estate license. Christine had a long career in commercial and residential real estate with two old line Boston firms. 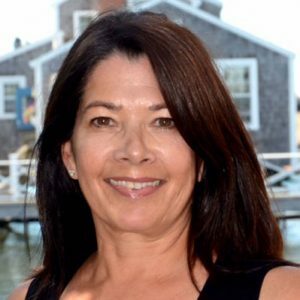 Her last position was Vice President at Hunneman Real Estate and she was responsible for the management and leasing of mixed commercial portfolio located in Massachusetts and Rhode Island. She earned an RPA designation from BOMA. She also has an ABR designation from the National Association of Realtors. Christine is a dedicated real estate professional who listens to the needs of her clients whether they are renting, buying or selling and helps them realize their dream. 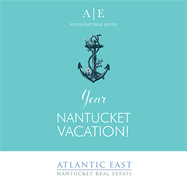 She loves living on Nantucket and enjoys sharing her Island life with family and friends. In her free time she likes to entertain, walk her dog, play golf and spend time at her winter getaway in Naples, Florida.